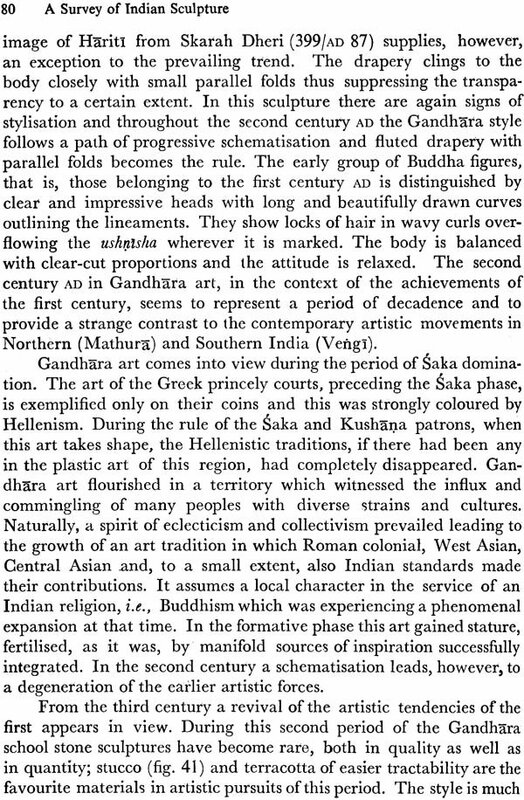 From the Jacket: This volume is an attempt at a connected history of Indian Sculpture setting forth in clear terms the varied trends and traditions that constitute an artistic whole. 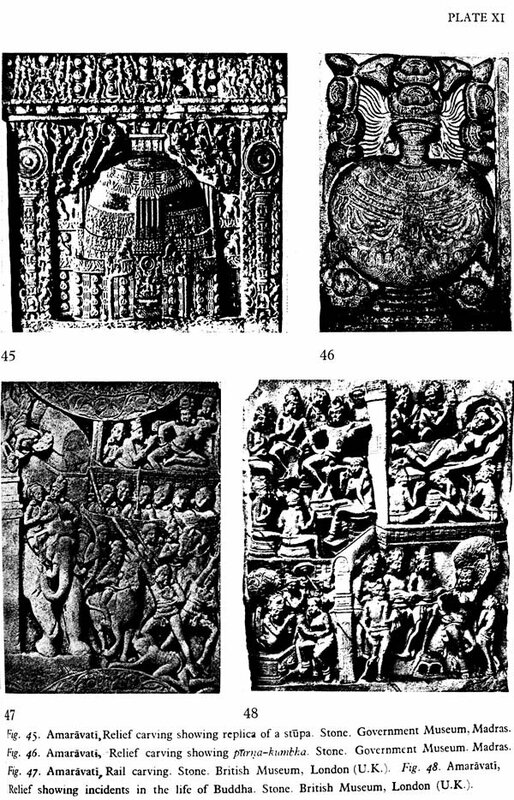 The learned scholar has traced the history of Indian sculpture from the beginning to the medieval times bringing within his scope a vast field of study. 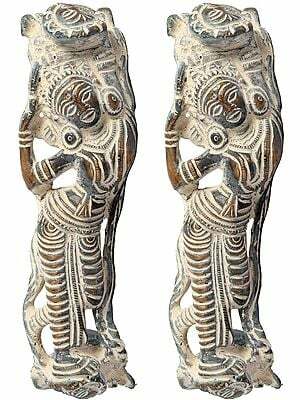 Special emphasis is laid on the origin and development of the basic strains as well as the fundamental characteristics of Indian plastic art in a historical perspective. 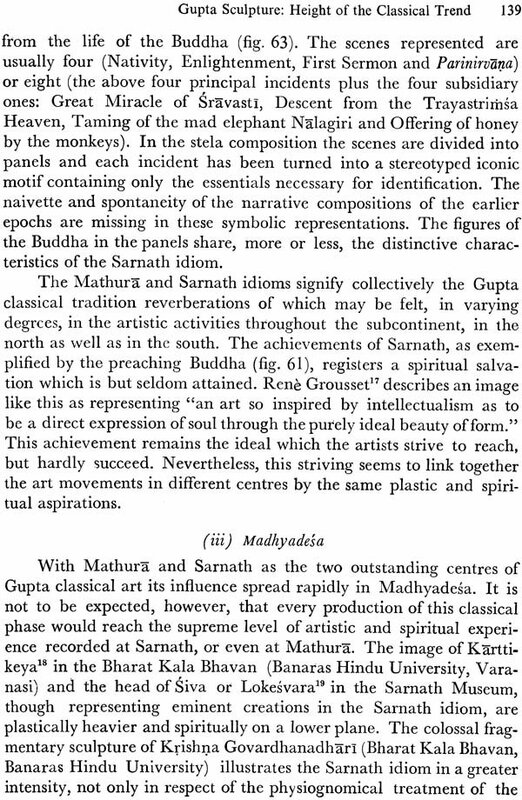 Plastic art of the subcontinent found expression in many important schools and distinctive styles. 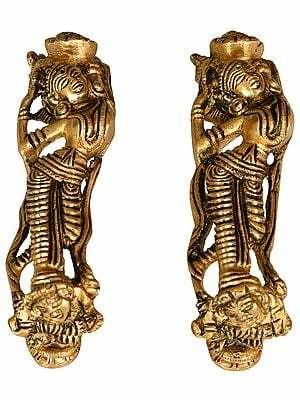 It has been the endeavour of the author to interpret the changes of form through the ages as a logical, orderly and organic evolution. 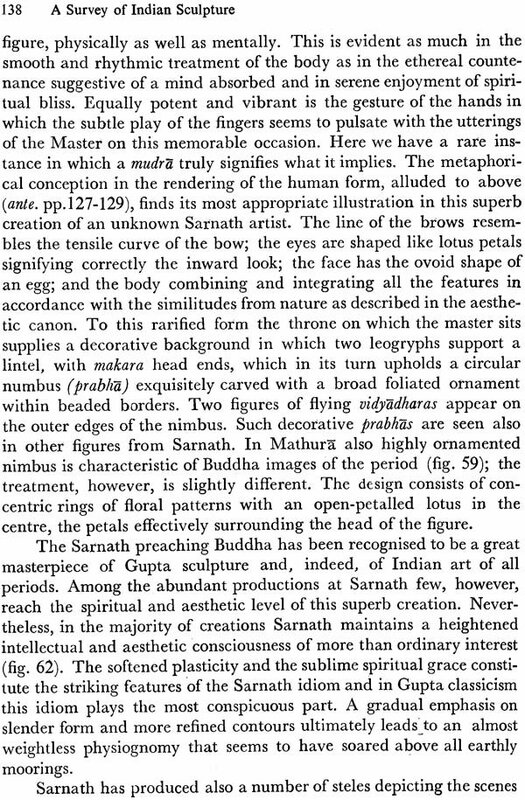 Professor S.K.Saraswati is an internationally known art historian of India with highly conspicuous contributions in the fields of Indian history, art and archaeology. 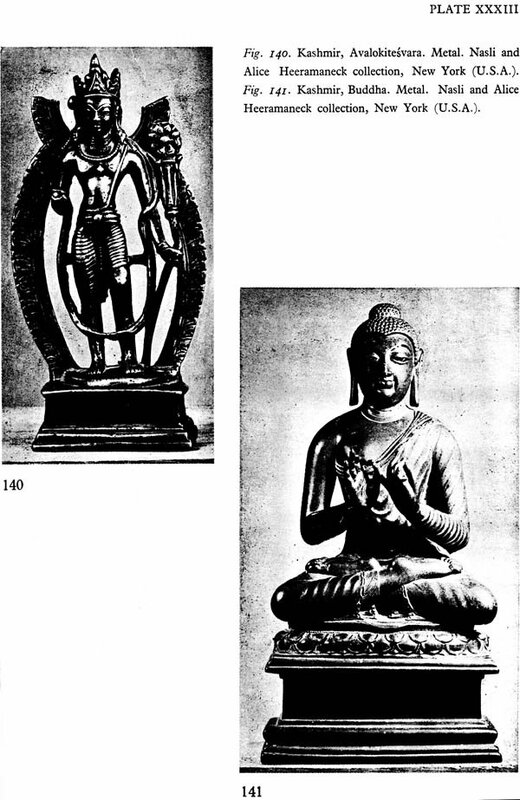 Besides his many publications and valued collaboration in a number of scholarly schemes in the country, he has recently completed the Unesco project on the study of Buddhist Tantrayana Art, now awaiting publication in two sumptuously illustrated volumes. 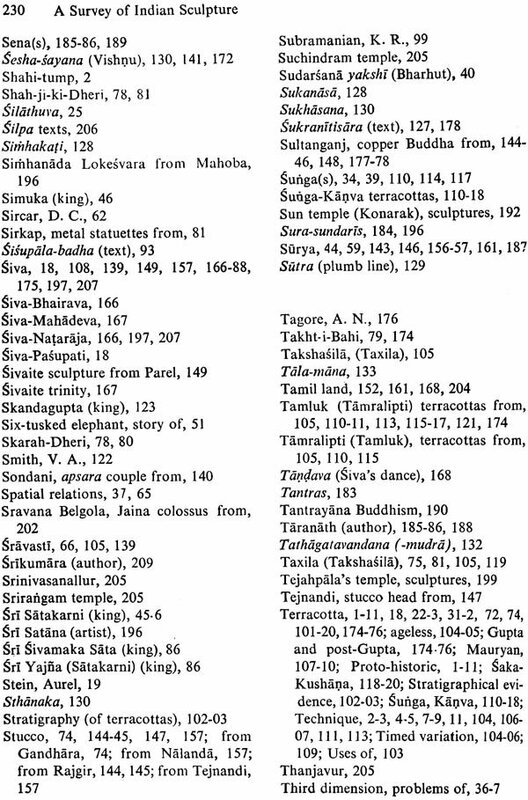 He is also the Editor of Cultural Heritage of India, Vol. 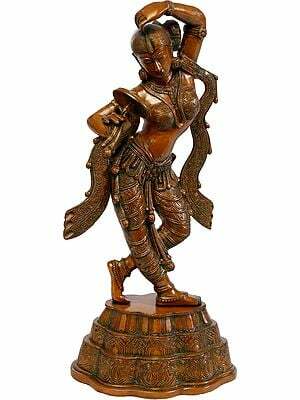 III, Fine Arts, sponsored by the Ramakrishna Mission Institute of Culture, Calcutta. Professor Saraswati has held many high and responsible position including professorships in Calcutta and Banaras Hindu Universities. For sometime he was also the Secretary and Curator of the Victoria Memorial, Calcutta. He has travelled widely in Europe, America and USSR on lecture tours by invitation. He now holds the office of the President of the Asiatic Society, Calcutta. 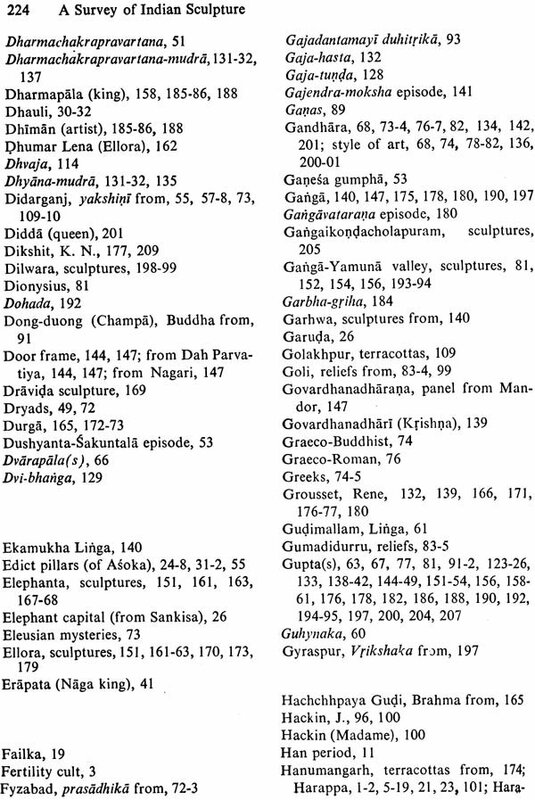 There are several books on Indian sculpture, but they deal mostly with its philosophy or iconography, rather than with its history. 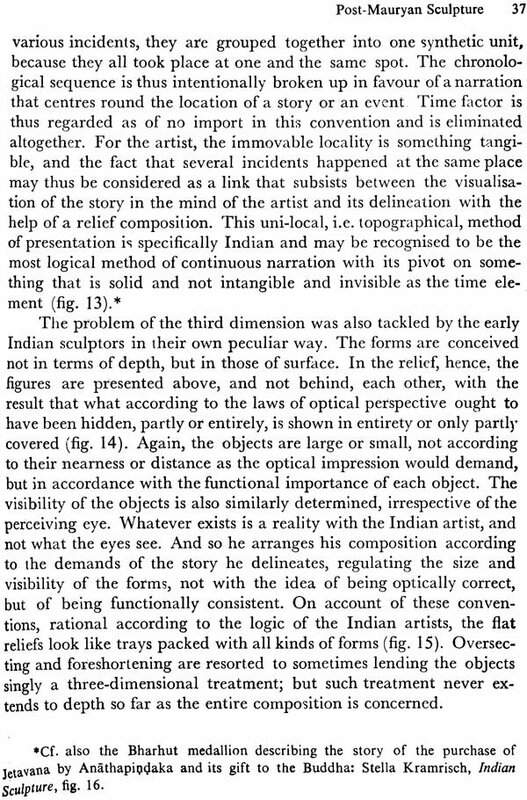 My esteemed teacher, Dr. Stella Kramrisch, was the first to study Indian sculpture in relation to time and space; but her book (Indian Sculpture, Calcutta, 1933), splendid as it is in many ways, is not meant perhaps for the general reader. 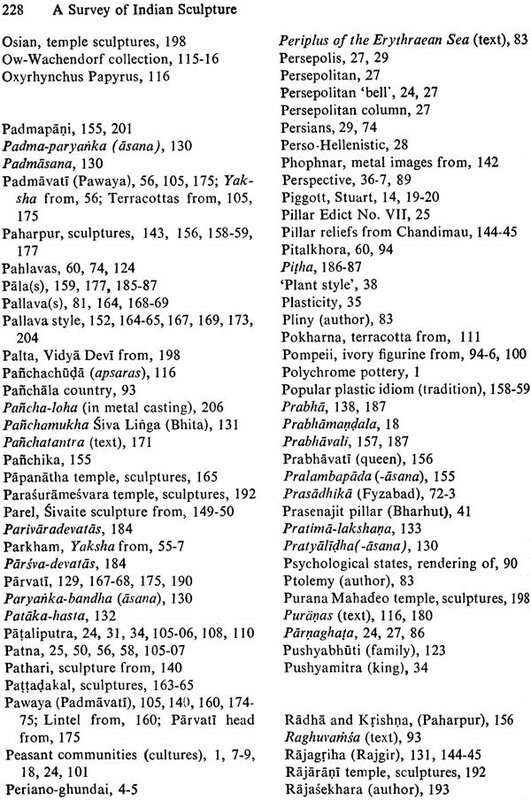 A history of Indian Sculpture, setting forth in clear and comprehensible terms the various trends and tendencies that went to constitute Indian plastic tradition, was felt to be a necessity, and the present work is an attempt in that direction. 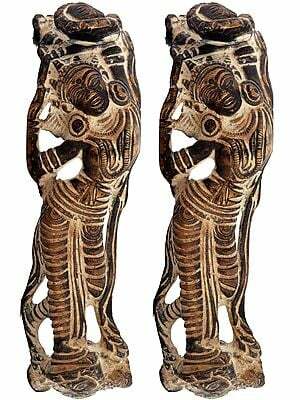 It brings within its scope a vast field of study, and special emphasis is given to the origins and development of the basic strains and characteristics of Indian plastic art in a historical perspective. It has been my endeavour to interpret the changes of form through the ages as a logical, orderly and organic evolution. How far I have succeeded in this attempt, I leave to the judgment of discerning readers. 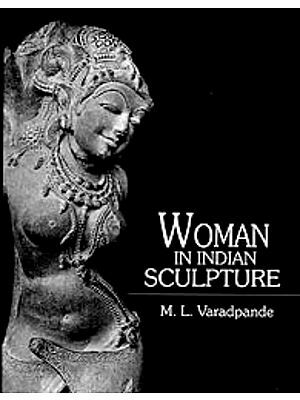 The extent of the present work is, however, limited in relation to the wide panorama of the subject, and it has not been possible to discuss in detail the history of mediaeval Indian sculpture which, with its many regional ramifications each having manifold strains, offers itself a vast field of study. 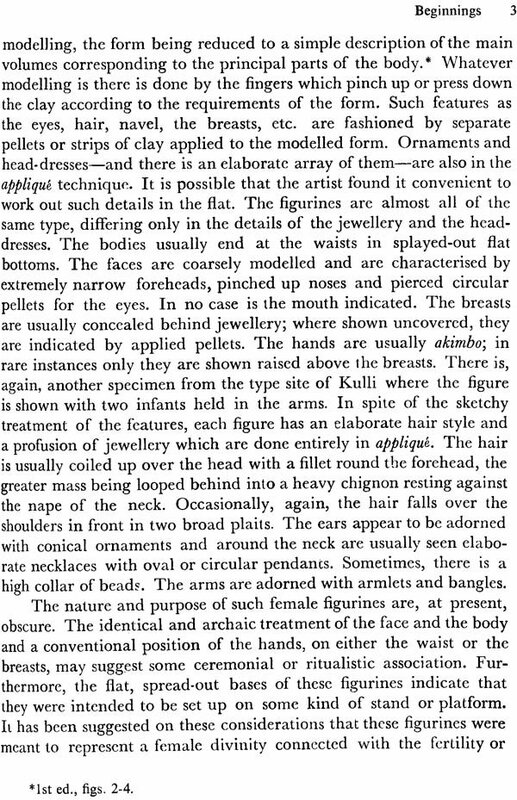 I have indicated here only the general tenor of mediaeval sculpture in its principal expressions. 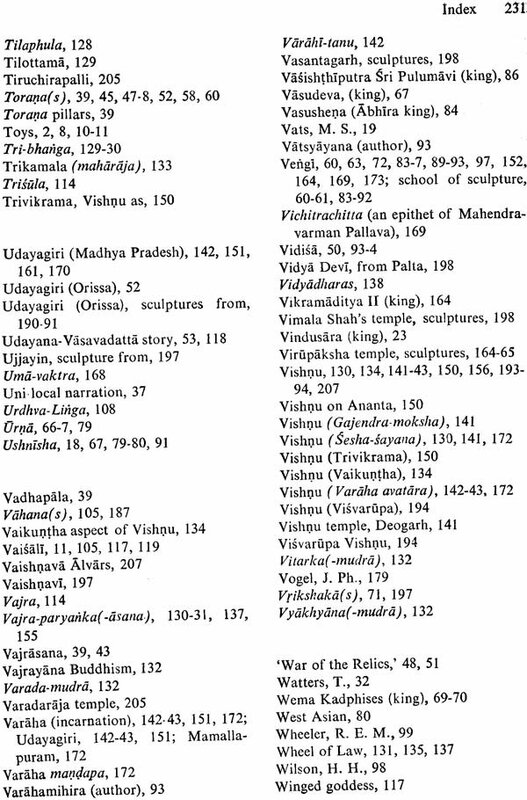 If oppor- tunities permit, it is intended to issue a companion volume dealing with the history of mediaeval Indian sculpture in all its details. The book was sent to the press nearly three years ago. 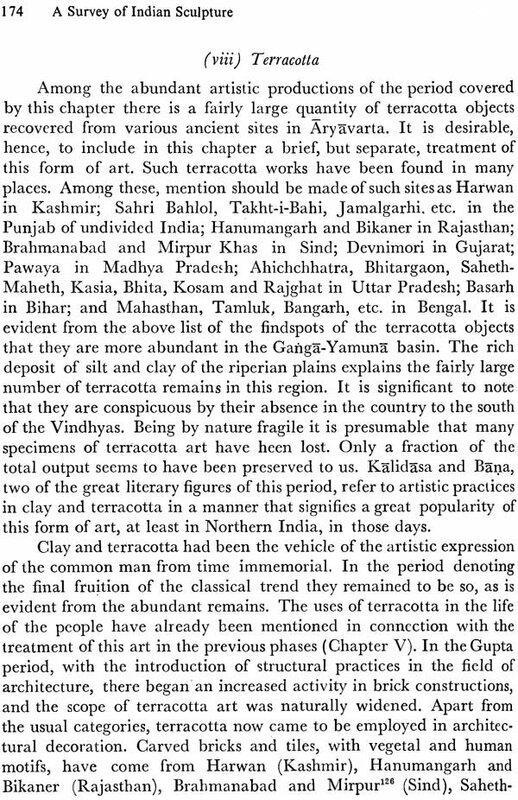 My indifferent health, coupled with my deputation to Nepal as Leader of the Survey of Manuscript Libraries, and certain technical difficulties in the printing of the plates hampered the progress of the work. The delay afforded me an opportunity to consult the two most outstanding publications of the recent years, one by Stella Kramrisch and the other by Heinrich Zimmer. I am grateful to my esteemed colleagues in the University of Calcutta for their kind interest in this work. 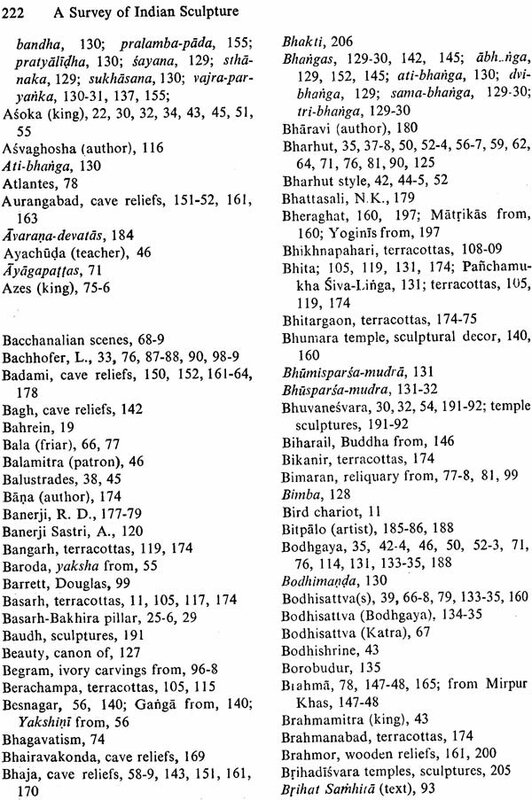 My former teacher, Dr. J. N. Banerjea, Carmichael Professor and Head of the Department of Ancient Indian History and Culture, and Dr. Niharranjan Ray, Bagisvari Professor of Indian Art, have helped me with many valuable suggestions. 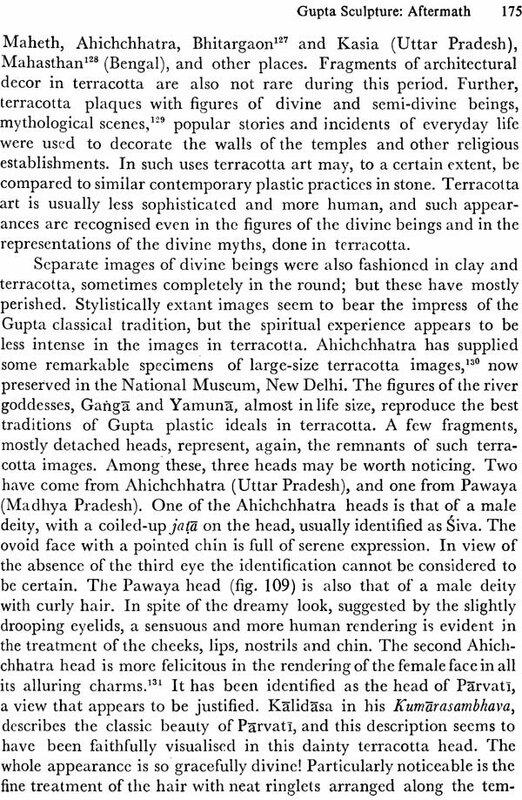 Sri Nalini Nath Dasgupta, one of my distinguished colleagues, has kindly gone through the proofs with his characteristic carefulness and discernment. 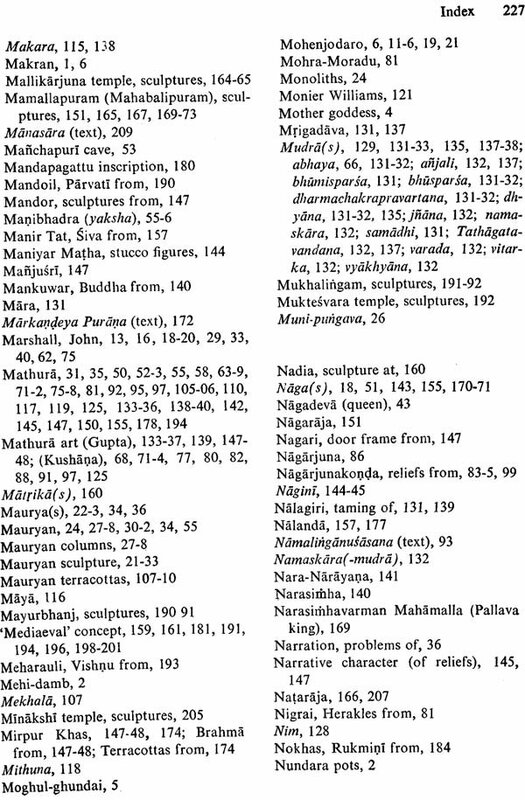 Sri Bratindra Nath Mukherji and Sri Dipak Sen, two of my pupils, have prepared the Index. To all of them I feel deeply indebted for the kind troubles they took for the work. 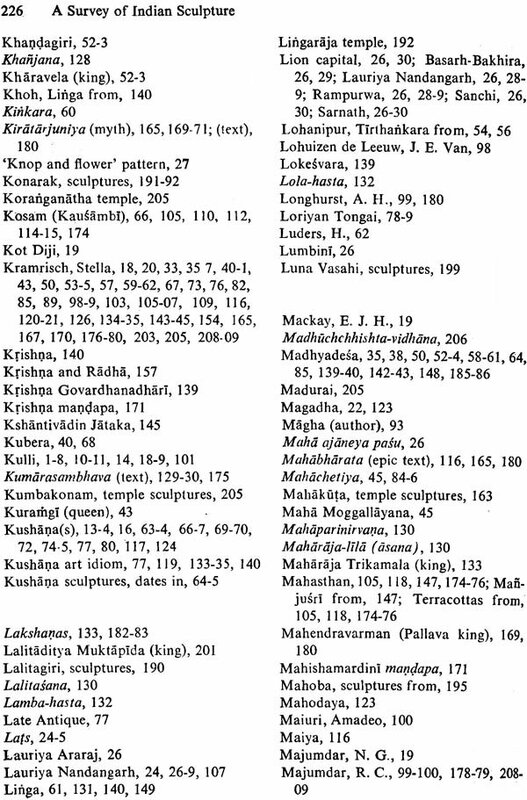 The Bharatiya Vidya Bhavan, Bombay, and the Indian Society of Oriental Art, Calcutta, have been kind enough to lend me a large number of blocks from their respective collections. I express my sincere gratitude to the authorities of these institutions for their sympathies and courtesies in this respect. 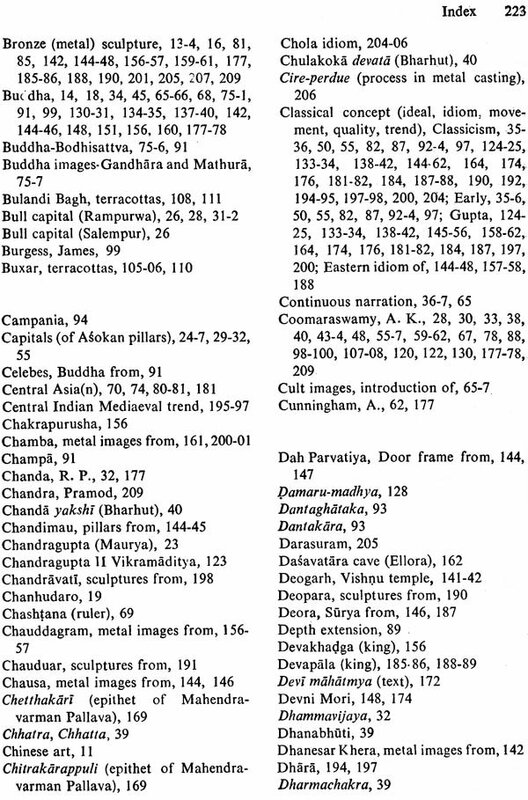 Lastly, I have to thank my Publisher, Sri K. L. Mukhopadhyay, who, in spite of all inconveniences due to delay in publication, has shown eagerness and courtesy throughout, and my friend Sri Satyendra Chandra Kat, who has been of immense help to me in getting the book through the press. 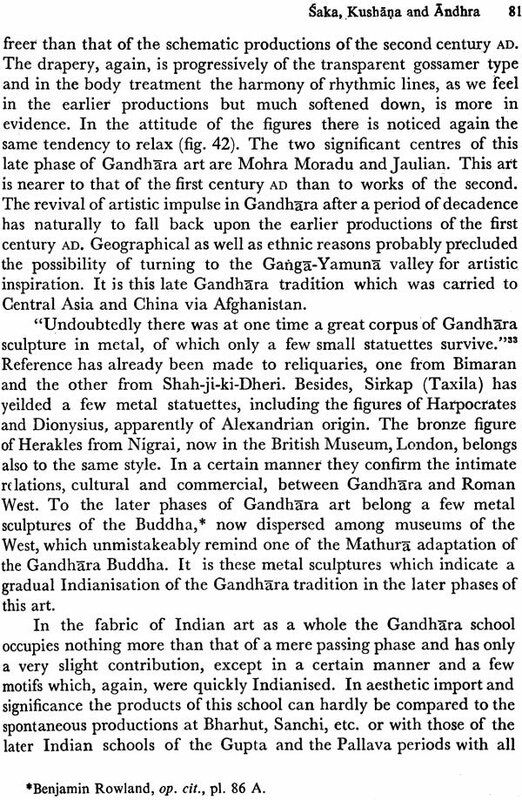 In presenting the second edition of A Survey of Indian Sculpture, the author is happy to note his sense of gratification for the apprecia- tion that the book had received from the reading public. In fact, the first edition had sold out within ten years of its publication. It is regretted that a second edition could not be made available at an earlier date. 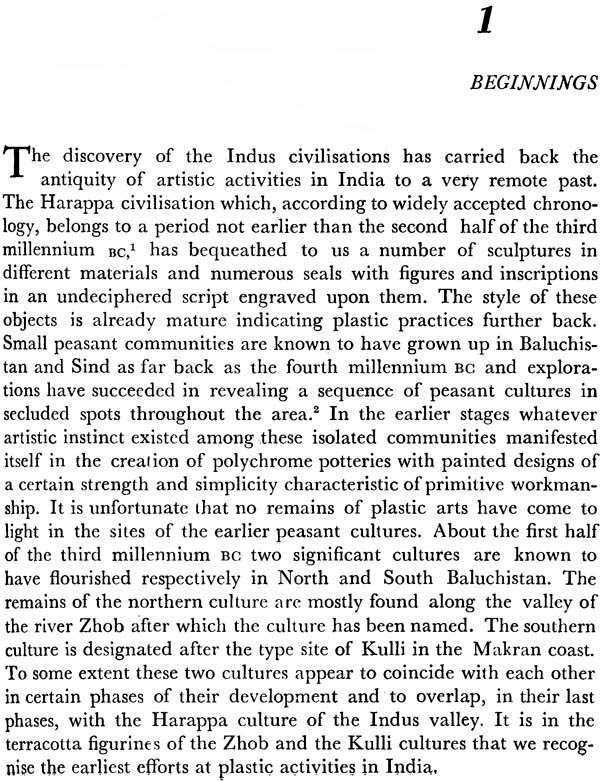 The high cost involved in bringing out a work on art delayed the publication of a second edition until Messrs Munshiram Manoharlal Publishers Pvt. Ltd. came forward with a generous proposal for publishing it. Sincere thanks of the author are due to the Publishers for this kind gesture of theirs. In this edition the text has been thoroughly revised and to a certain extent enlarged with a view to incorporate new material and bring the matter up to date. 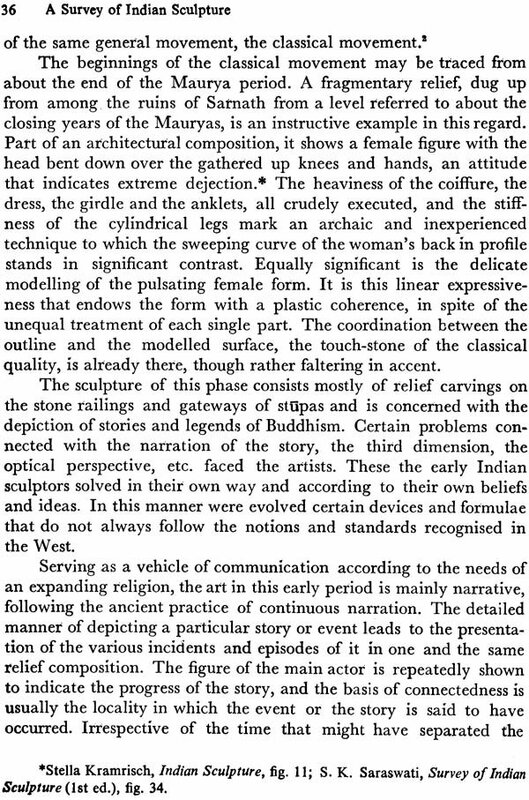 In the first edition, for reasons of space, the story of mediaeval sculpture had been discussed in bare outline only. 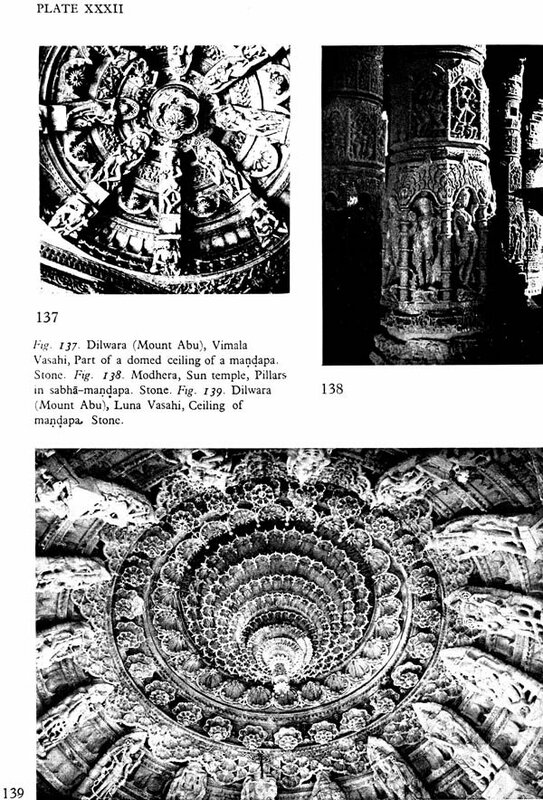 Opportunities permitting, the intention was to issue a com- panion volume dealing with the history of mediaeval Indian sculpture in all its facets. 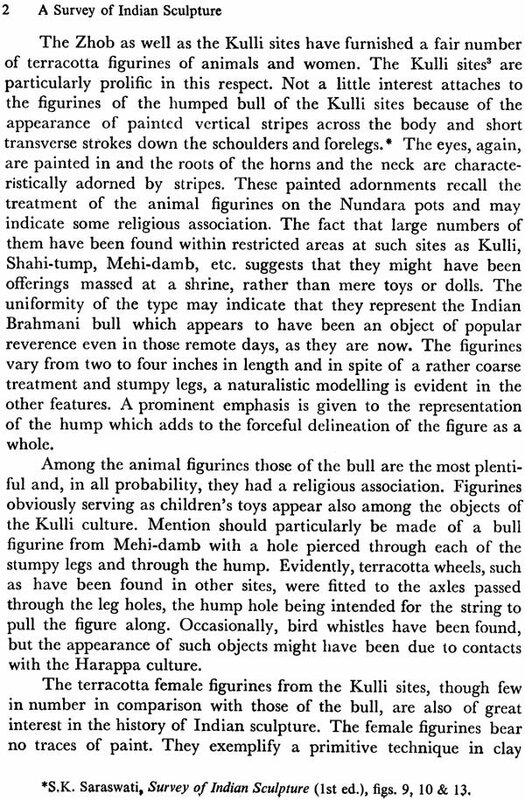 Mediaeval Indian sculpture, with its many regional ramifications each having manifold strains, is itself a vast subject of study involving a good amount of preliminary field work and several of the author's pupils are engaged in this work. 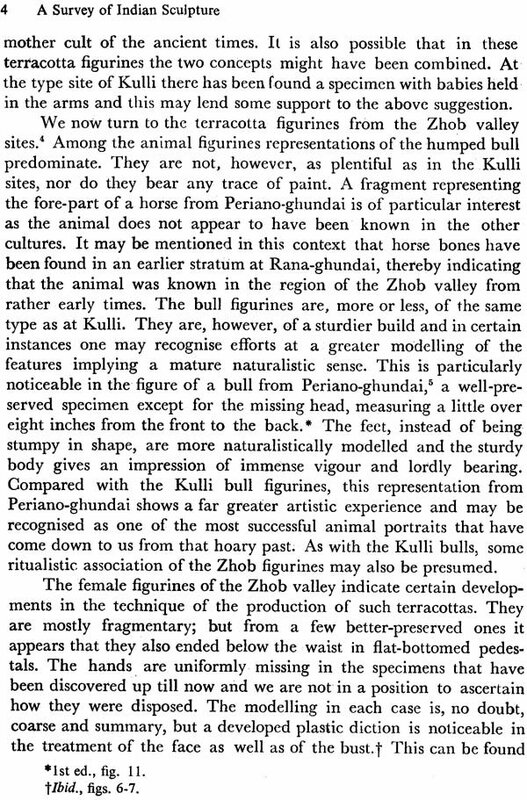 It may not be proper to anticipate their findings before their studies are completed. 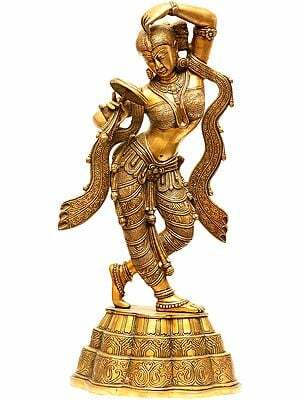 At the same time it is felt that in a work on Indian sculpture the sculpture of the mediaeval phase deserves something more than a bare out1ine. 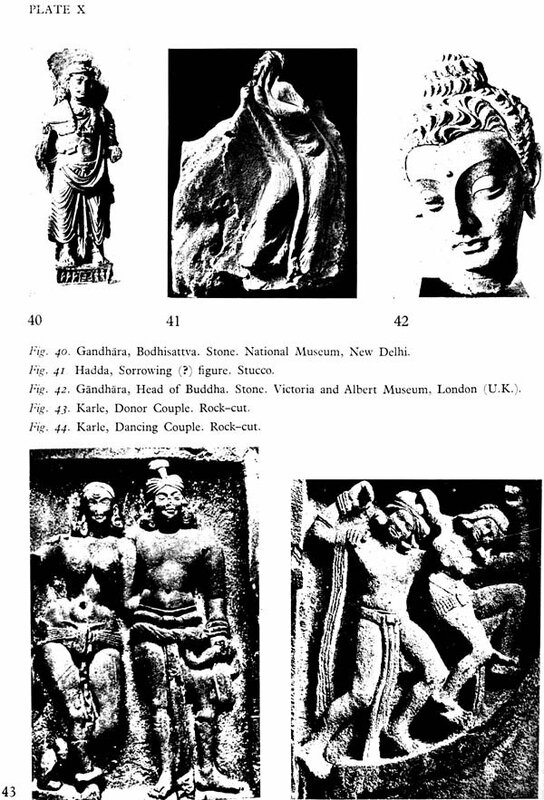 In this second edition therefore the bare outline, that appeared as an Epilogue in the first, has been expanded into a chapter indicating the principal directions in the course of mediaeval Indian sculpture. In preparing this second edition and in course of its printing the author has received valuable help and advice from Dr. B. N. Mukherjee, one of his most distinguished pupils in the past and now a dear colleague. The author is extremely beholden to him for his kind and continued interest in this regard. Thanks are further due to Mr. G. Subbiah, M.A. 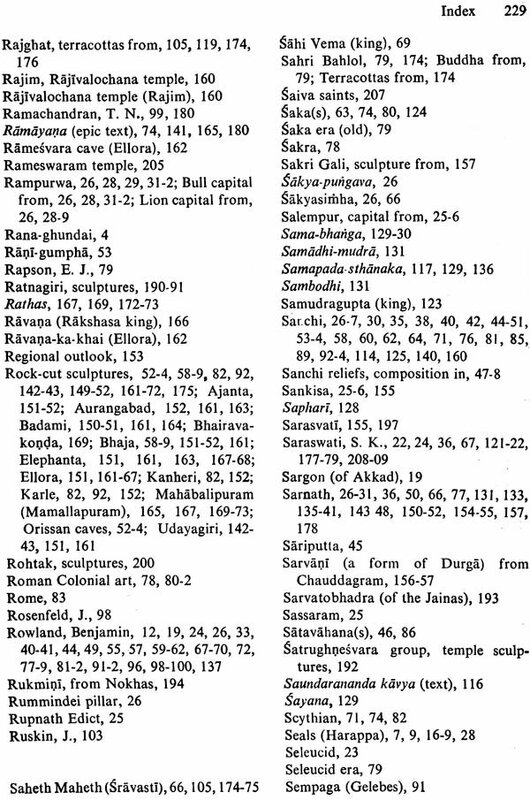 and Miss Lakshmi Singh, M.A., two of the author's pupils in Banaras Hindu University and now working in Calcutta University for Ph.D., for the assistance rendered in the difficult task of the preparation of the Index. The institutions and individuals who have helped by extending courtesies in respect of. 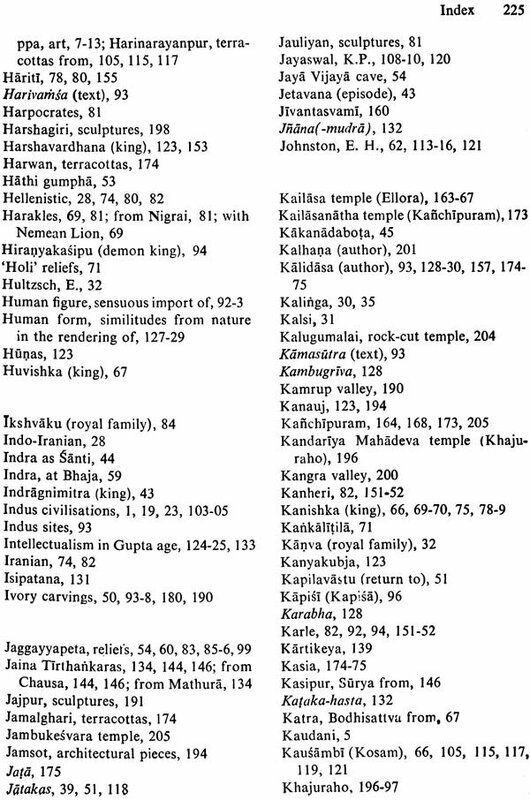 photographs together with permission for reproduction need also grateful citations. 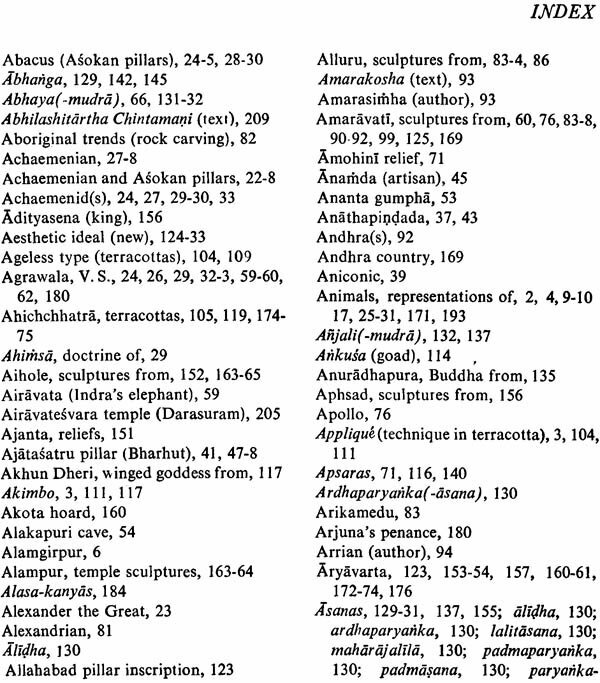 Due records have been made of such courtesies in a separate page of Acknowledgements. Lastly, the author has to thank the Publishers, especially their energetic and efficient Editorial Director, Sri Devendra Jain, for the unfailing care in seeing the edition through the press.